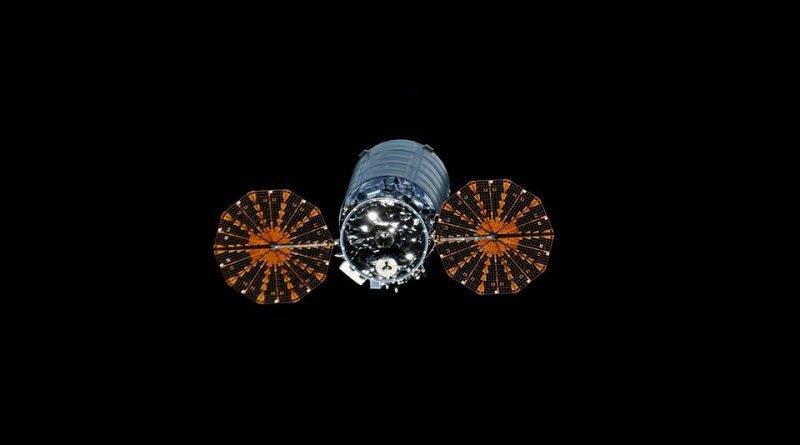 The S.S. Gene Cernan, Orbital ATK’s eighth operational Cygnus spacecraft, closed out a 36-day mission on Monday via destructive re-entry after completing a 22-day stay at the International Space Station and deploying a series of small CubeSats after finishing its ISS resupply mission. 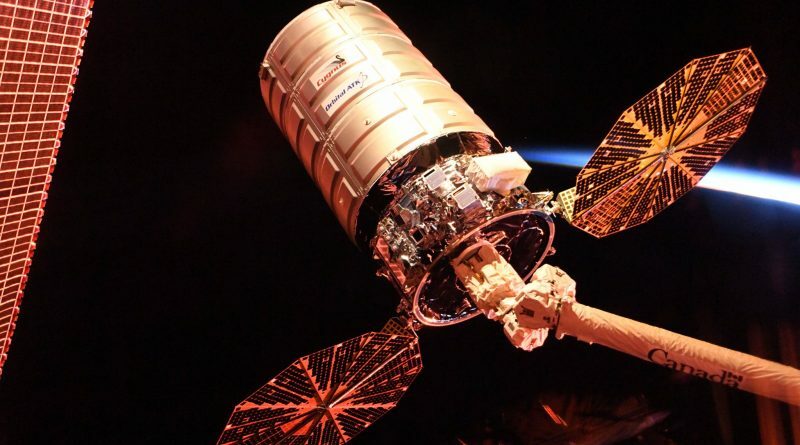 After delivering over 3,200 Kilograms of cargo to the International Space Station, the Cygnus S.S. Gene Cernan departed the orbiting complex on Wednesday to close out a three-week stay and 24 hours of detailed radio interference testing to aid future crew vehicles arriving and departing the orbiting laboratory. 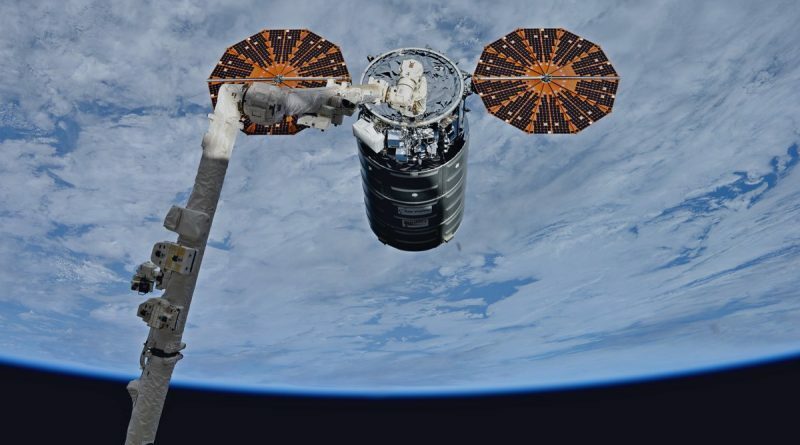 The Cygnus S.S. Gene Cernan arrived at the International Space Station on Tuesday for a robotic capture and berthing to become a temporary part of the orbiting laboratory for the delivery of over three metric tons of supplies, maintenance gear and research. 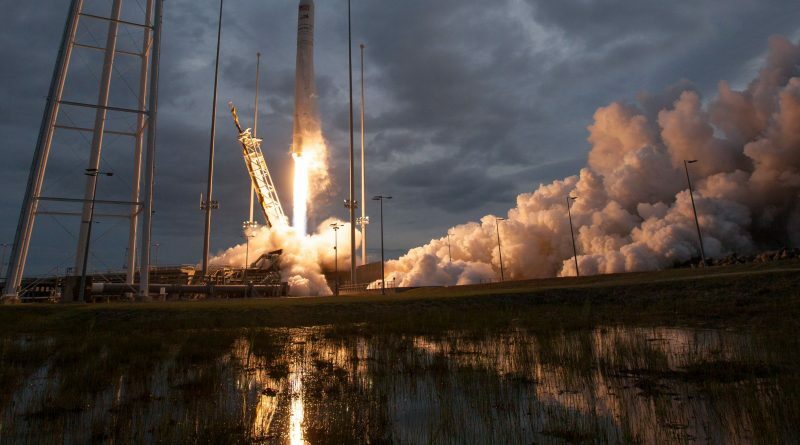 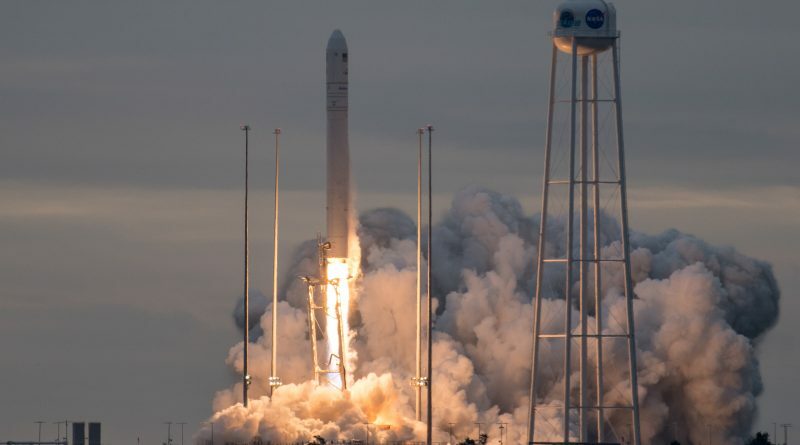 An Antares rocket thundered off from Virginia’s Eastern Shore Sunday morning after a year-long break, carrying into orbit the eighth operational Cygnus cargo spacecraft headed to the International Space Station with over three metric tons of science gear, maintenance hardware and crew supplies. 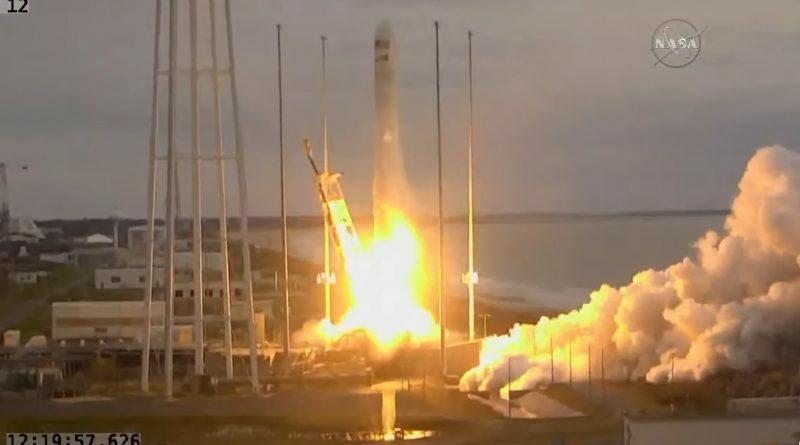 Orbital ATK successfully launched an Antares 230 rocket from Pad 0A at the Mid-Atlantic Regional Spaceport located on NASA’s Wallops Flight Facility on Sunday, November 12, 2017. 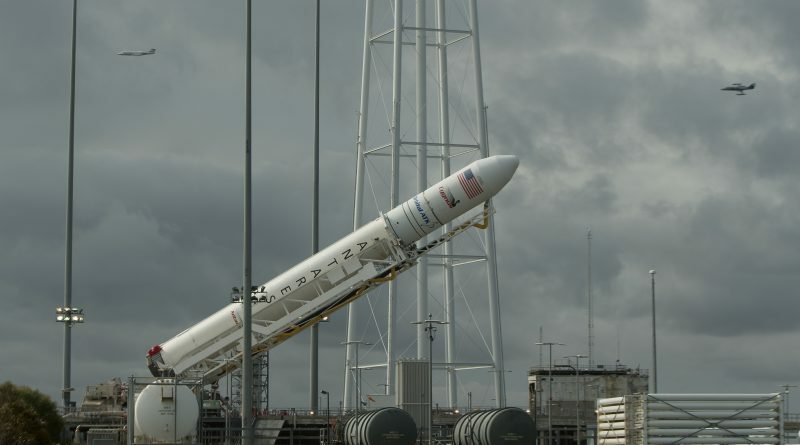 The launch of Orbital ATK’s Antares rocket carrying the company’s Cygnus cargo spacecraft had to be scrubbed at the last minute on Saturday due to a rogue aircraft entering the closed airspace around NASA’s Wallops Flight Facility. 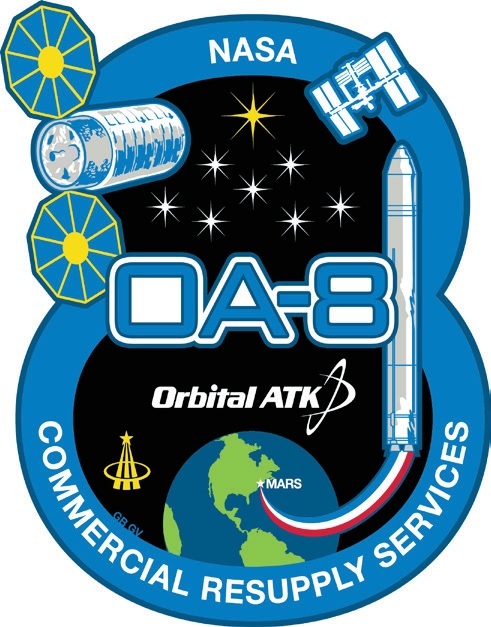 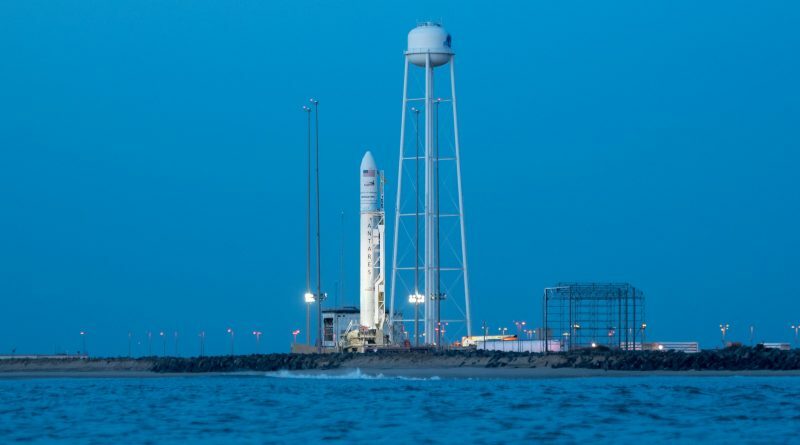 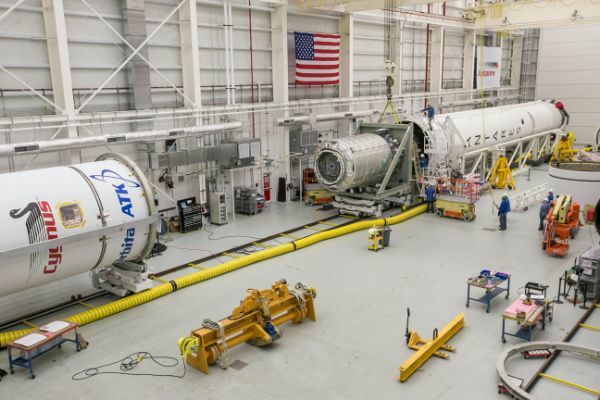 Orbital ATK is gearing up for the company’s second Cygnus mission of the year, targeting liftoff atop an upgraded Antares 200-series rocket Saturday morning from the Wallops Flight Facility. 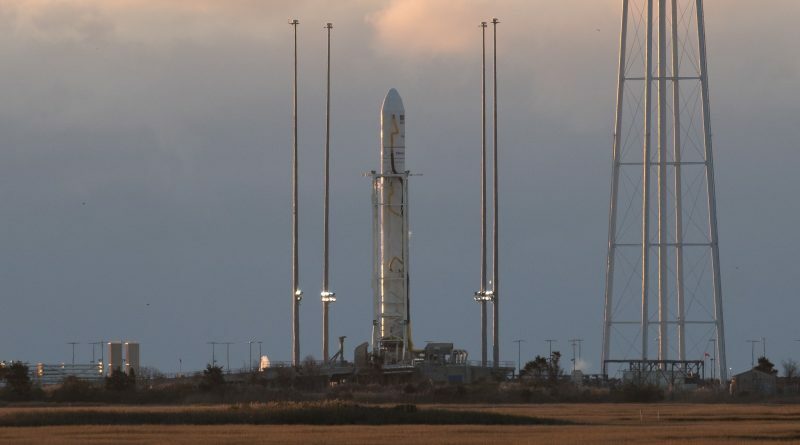 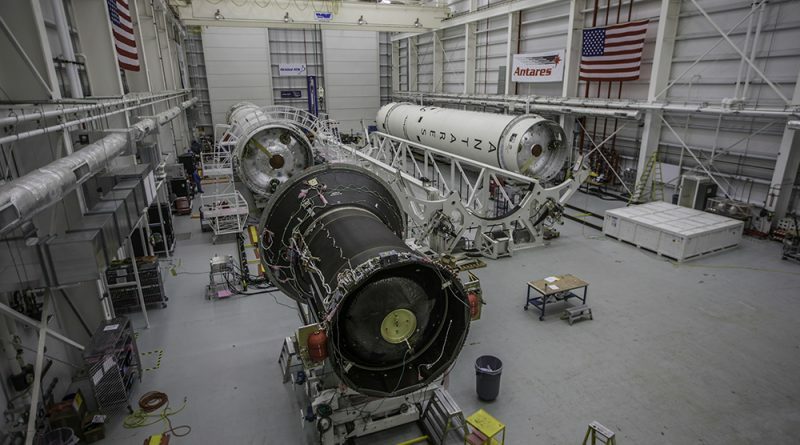 Teams at the Wallops Flight Facility ready the second Antares 200 series launch vehicle at the Horizontal Processing Facility for liftoff with the Cygnus OA-8 cargo spacecraft headed to the International Space Station.